Celebrate the 65th Anniversary of Walt Disney Animation's Peter Pan, available on Digital and Movies Anywhere May 29 and on Blu-ray™ June 5. Joining the Walt Disney Signature Collection, relive the animated classic with more than two hours of bonus features and new never-before-seen extras. Experience the timeless adventure from Disney's golden age of animation with the whole family and let imagination soar off to Neverland once again! 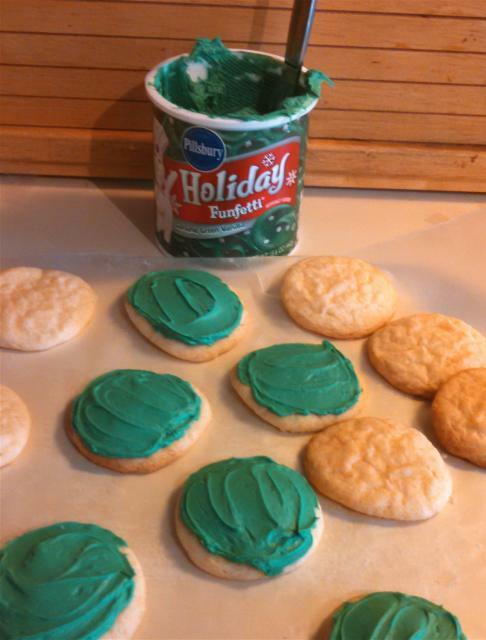 In “Peter Pan,” fantastic adventures await the Darling children—Wendy, John and Michael—when Peter Pan, the hero of their stories, whisks them away to the magical world of Never Land. After flying with Peter and the delightfully impish Tinker Bell past the “second star to the right and straight on till morning,” they explore the enchanted island and Peter’s secret hideout with the Lost Boys, and leap into high-flying battles with swashbuckling pirates and the infamous villain Captain Hook. 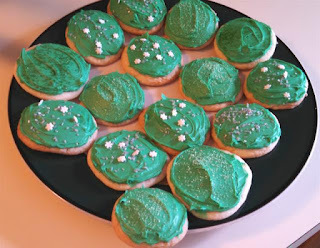 In honor of the release, I made some Peter Pan Inspired cookies! 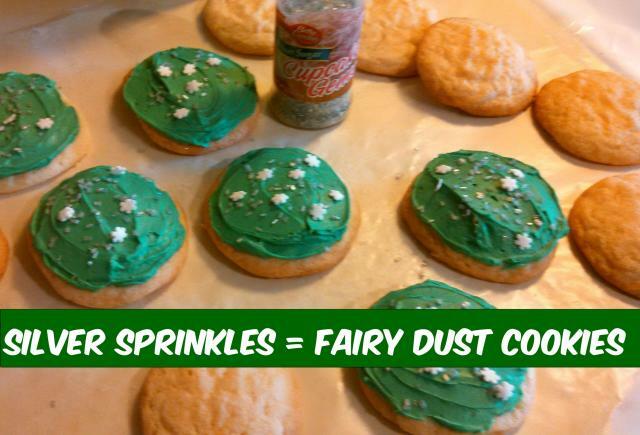 All you will need is a package of sugar cookie mix, green frosting (vanilla and green food coloring works too) and glitter/silver sprinkles, star sprinkles! 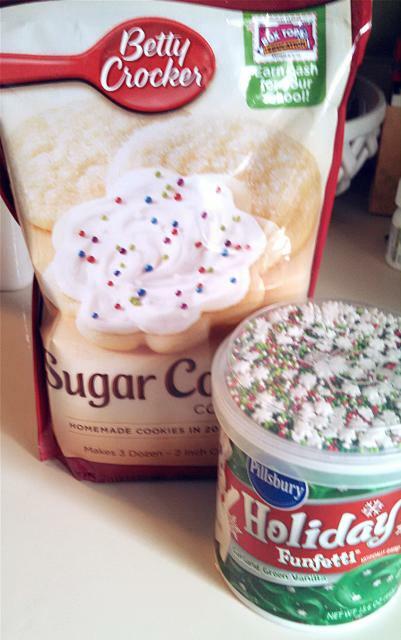 First up, make and bake cookies according to package! Once cool frost with green frosting (or vanilla that is dyed green with food coloring). Add some cool sprinkles! 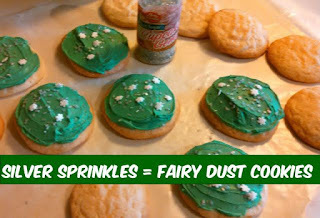 I happen to find these super cool silver sprinkles at Wal-mart that reminded me for Fairy Dust!